The Flaming Onion has been on my radar for quite some time. 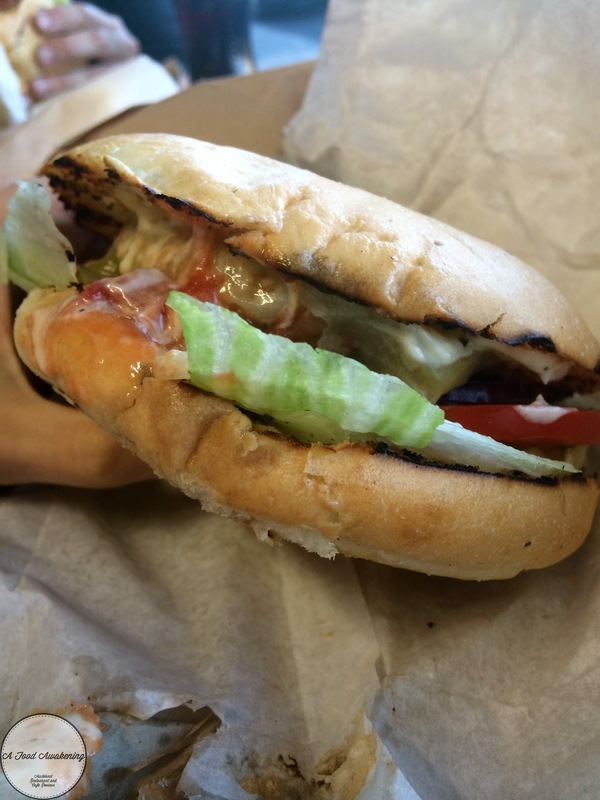 A mate and I have been on a hunt for the best burgers in Auckland. If you too are a burger junkie, then I would recommend checking out The Flaming Onion. Similar to Big J’s, its a small local takeaway – on the North Shore. They specialise in gourmet burgers, opting for free range products, hand-made sauces, and herb infused olive oil soaked buns. I found the buns remind you of focaccia bread which is something I yet to see anywhere else. A couple of good things, the burger is not greasy. 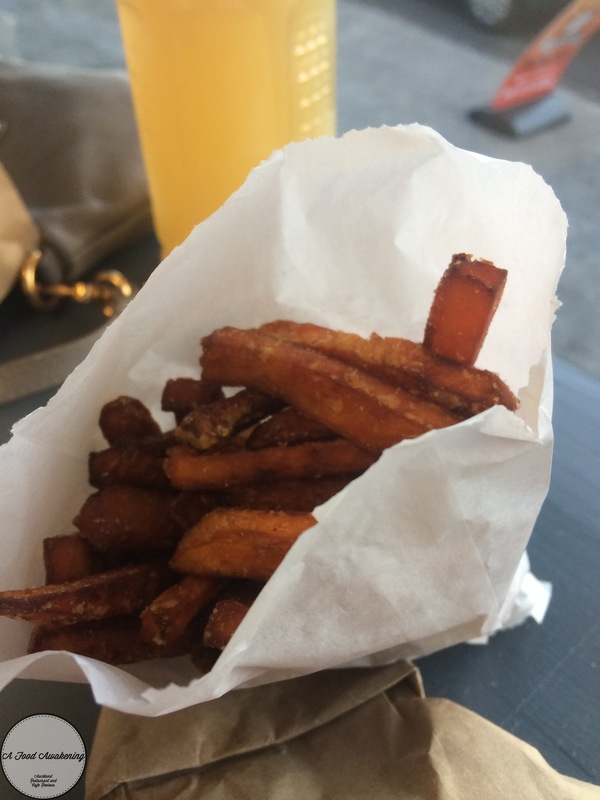 The kumara chips reminded you of the sweet potato fries you get in America. The ingredients were fresh and cooked to perfection. I also think its great how they ask for the degree of cooking for the steak burger. It was a tasty burger, but I couldn’t taste any mustard. A couple of recommendations, you need some sort of doofer or burger holder, as they are slightly difficult to eat. 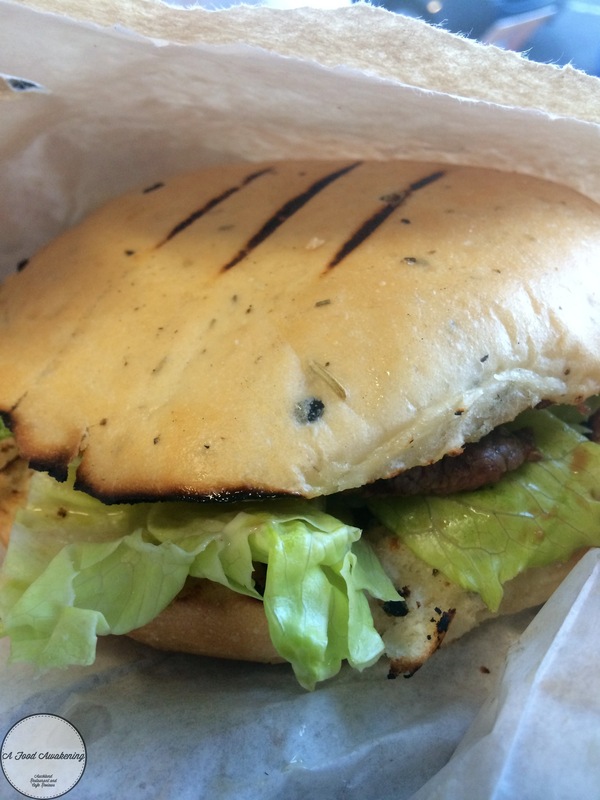 I also found that the burger bun becomes soggy quite quickly, so i felt the bun could be more toasted. We all agreed that we would return and make the trip over the shore again for another. Friendly service, and accurate timing for orders.